PUNE: While the central government is laying emphasis on reducing pollution and increasing the use of CNG in vehicles, the Pune Mahanagar Parivahan Mahamandal Limited (PMPML), a public transport body, is adamant on buying 400 diesel buses to ply in the city. Civic activists and various organisations including Parisar and Jhatkaa.org, on behalf of Pune citizens, have written to PMPML and Pune and Pimpri-Chinchwad mayors asking them to reconsider this decision. “Around 900 Punekars have signed an online petition on ‘Air Alert’, asking PMPML to consider buying CNG buses for Pune’s streets. Hundreds of Punekars are waiting on PMPML to address their concerns over its decision to buy 400 diesel buses to increase its fleet,” informed Sujit Patwardhan, Parisar. An online petition on ‘Air Alert’, a digital campaigning platform for air pollution and climate change, already has around 900 supporters. The campaign has targeted Tukaram Mundhe, MD, PMPML; Mukta Tilak, mayor, Pune; and Nitin Kalaje, mayor PCMC, asking them to buy 800 CNG buses in Pune. 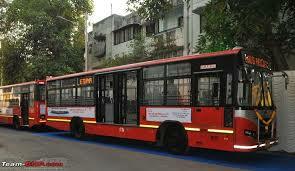 On September 27, Parisar, a civil society organisation working on transport and sustainable development, and Jhatkaa, a digital advocacy organisation, wrote to Mundhe and the mayors on behalf of these supporters, asking them to reconsider their decision of buying these highly polluting buses. “It has been a month since we wrote to Mundhe and the mayors, but we still have not received an acknowledgement from them. This is not the first time that the PMPML has refused to give an acknowledgement. When we asked for a copy of the report of the technical committee of purchase of CNG v/s diesel buses, it was refused,” said Ranjit Gadgil, program director, Parisar. Gadgil added that they want to have a meeting and understand why such a decision was taken even though there is enough evidence on pollution caused by diesel buses. “Punekars were very enthusiastic about this campaign. Almost 1,000 Punekars expressed their concerns over diesel buses and signed this petition. Once diesel buses are on the streets, they run for an average of 10 years. This means that for the next decade Punekars will be breathing in toxic pollutants from these vehicles. The transport authority has not kept public interest in mind before making this decision,” said Noah D’Mello, senior campaigner, Jhatkaa.org.